At around 10h34, Saturday 24th December, NSRI East London duty crew dispatched our sea rescue craft Spirit of Lotto following a request for assistance from a Canadian yacht Sara M, with a man and a woman onboard, requesting assistance to get into Port. Their last Port of call was Port Louis, Mauritius. 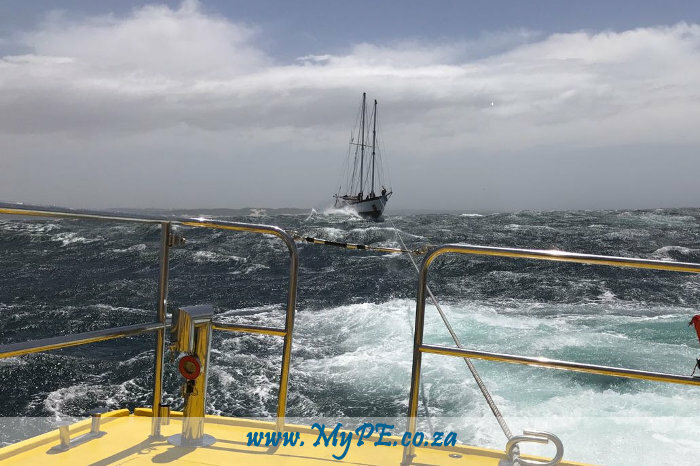 On arrival on the scene a tow-line was rigged and in rough seas with a 5 meter swell and a 55 knot gale force wind we towed the 20 meter yacht into Port without incident and they required no further assistance.